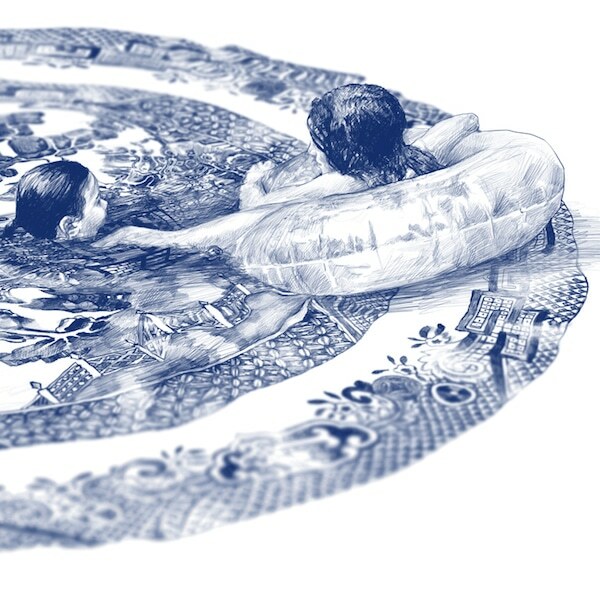 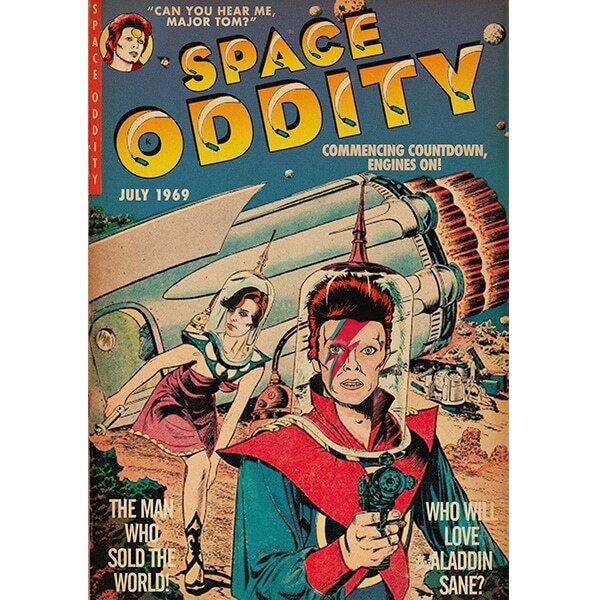 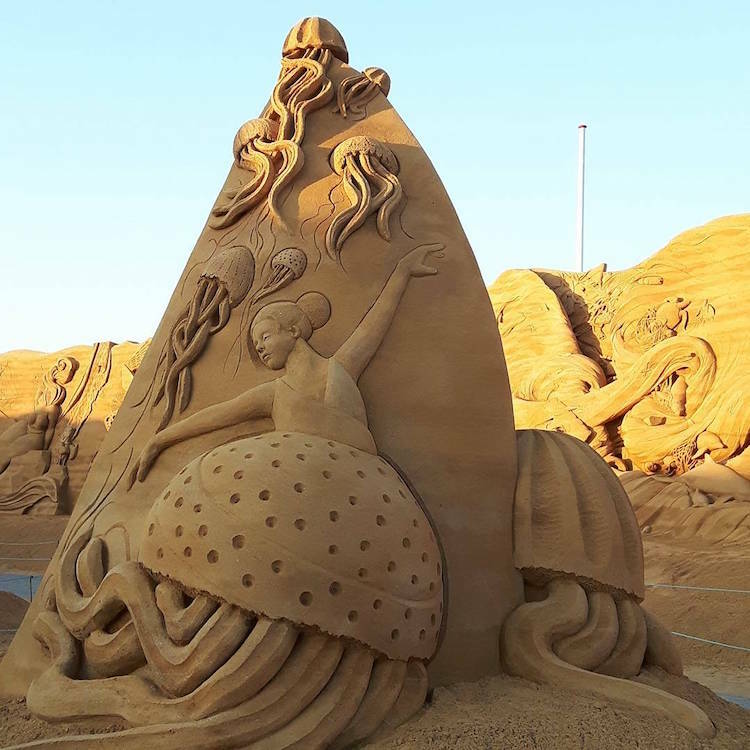 Spanning aquatic wildlife, underwater civilizations, fantastical figures, and even some particularly popular cartoon characters, the subject matter explored by this year’s participants is simultaneously diverse and cohesive. 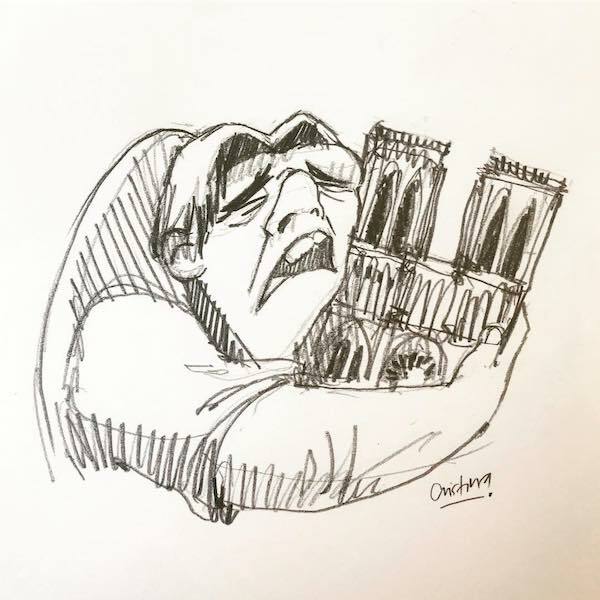 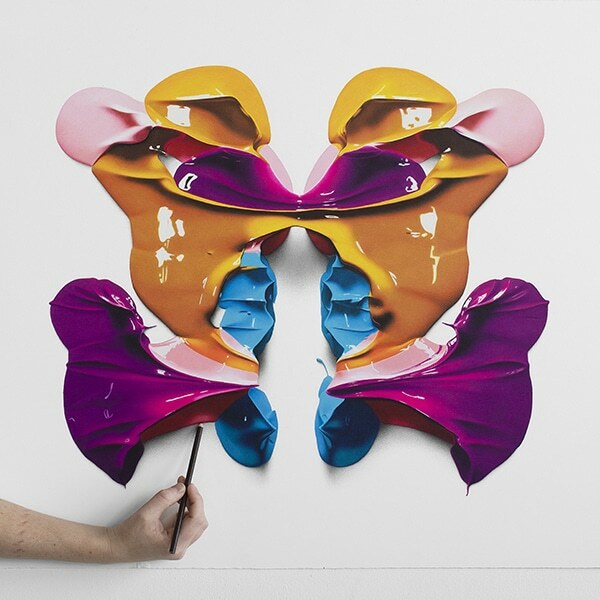 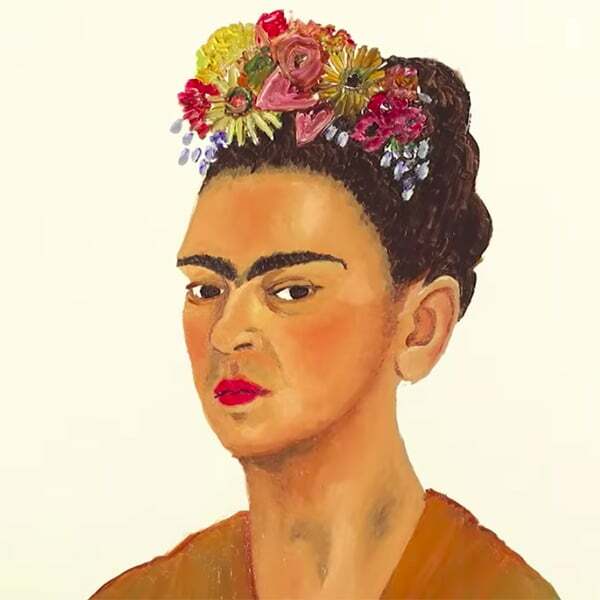 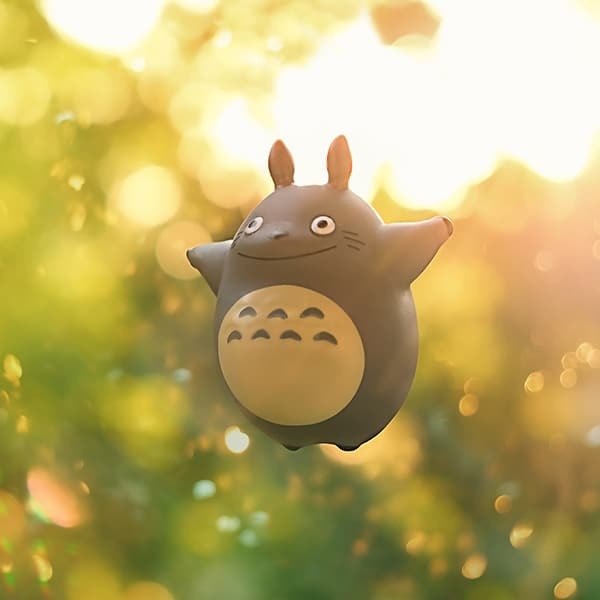 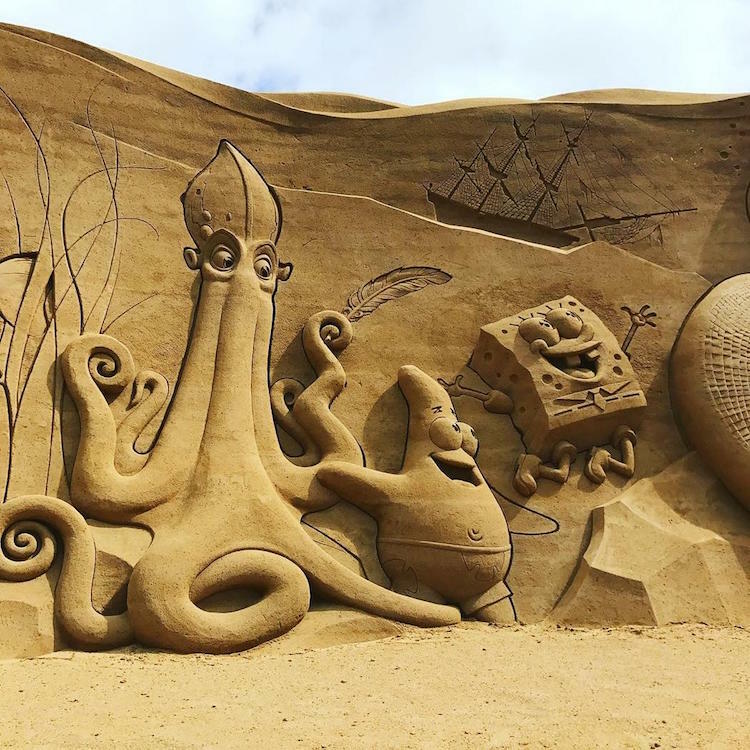 While most of these creative motifs materialize as 4-meter-tall (~13 feet) stand-alone pieces, some of them appear as a part of the show’s main attraction: a 200-meter-long, 7-meter-tall wall (200 ft. x 30 ft.). 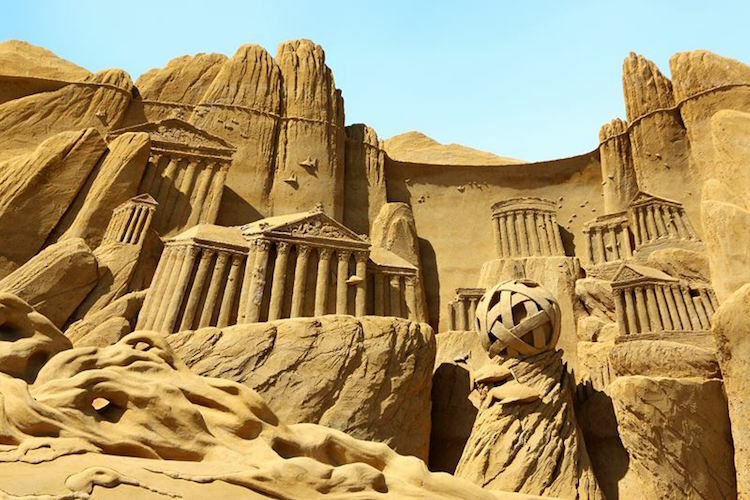 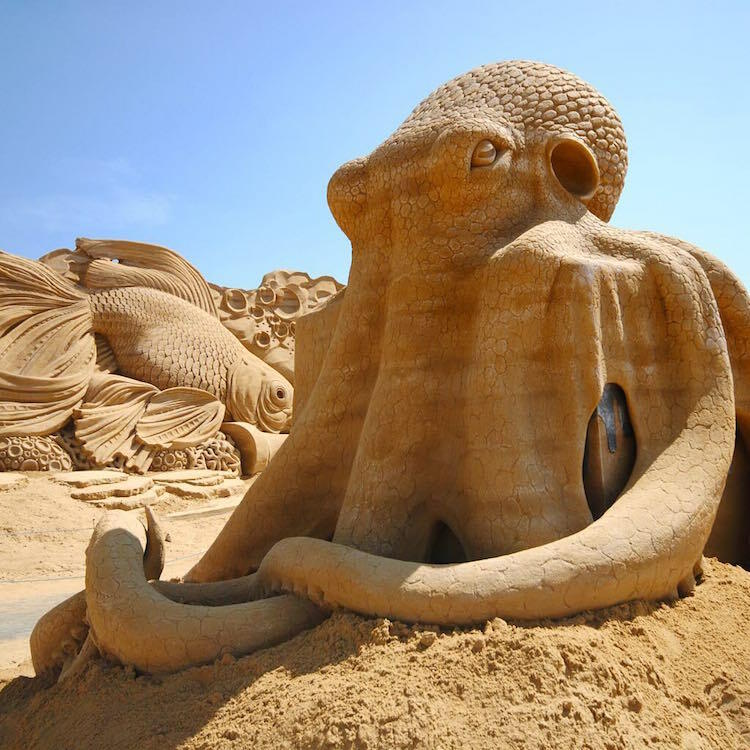 Featuring a collection of reliefs, this unique structure offers visitors an unconventional way to experience 3-dimensional sand sculptures. 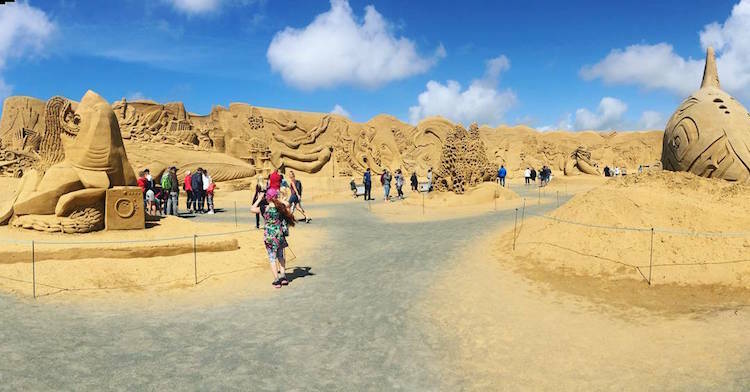 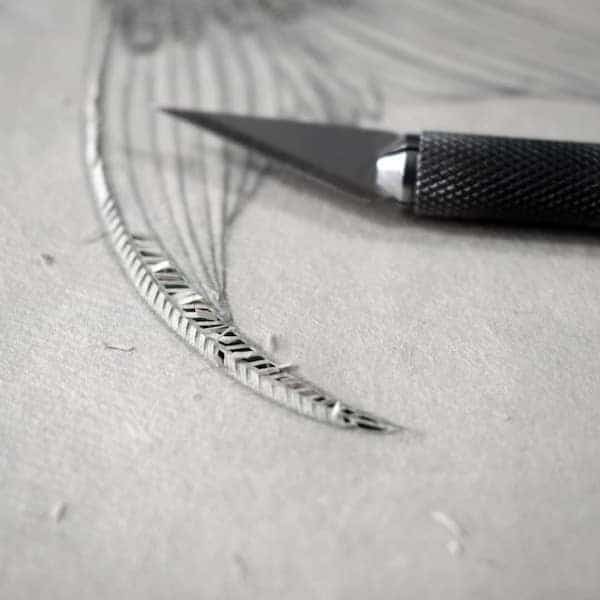 In addition to these individual works, this year’s main attraction is a towering wall composed of intricately carved reliefs. 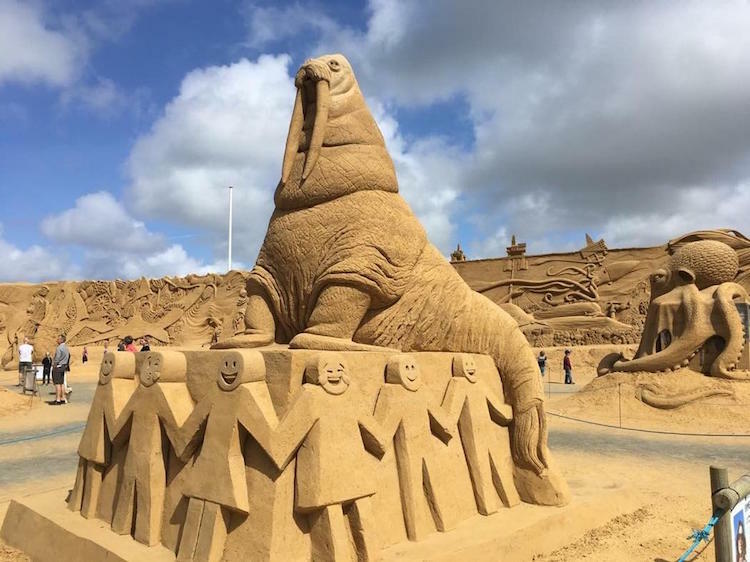 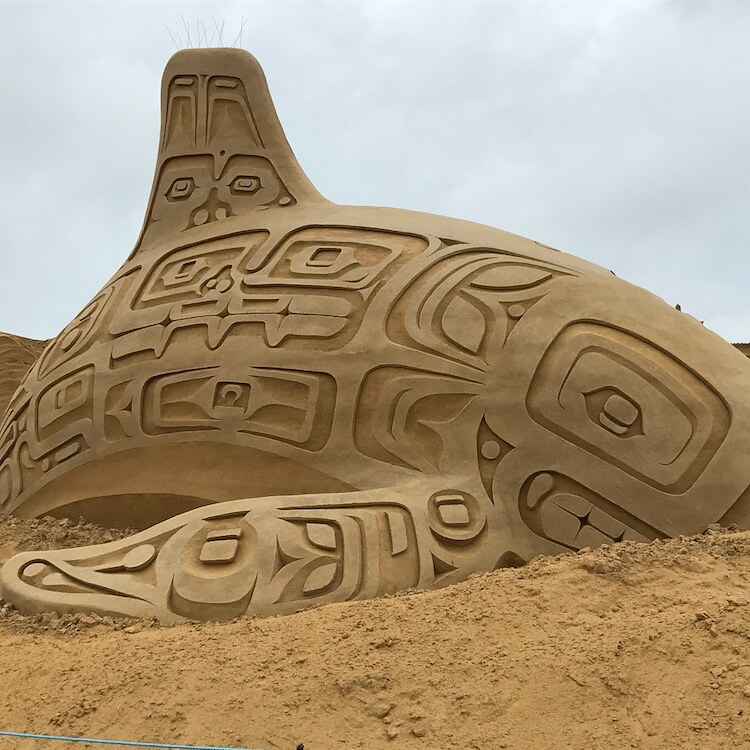 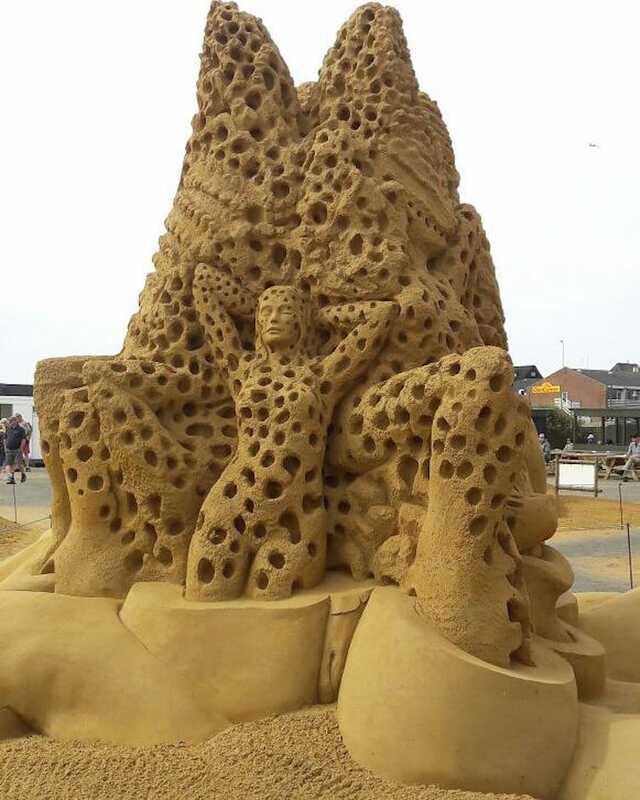 All images via Søndervig Sand Sculpture Festival unless otherwise stated. 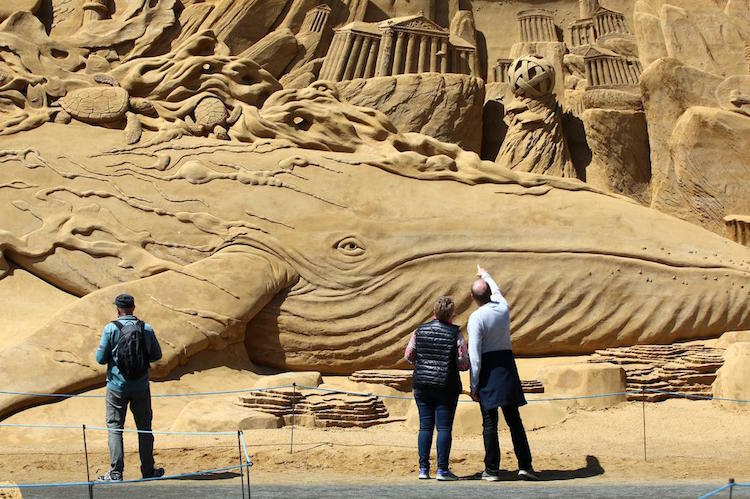 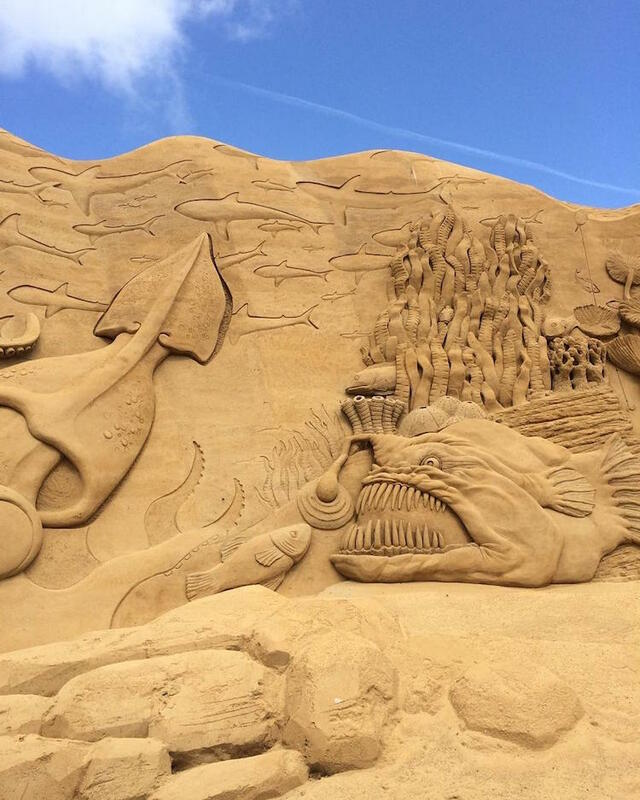 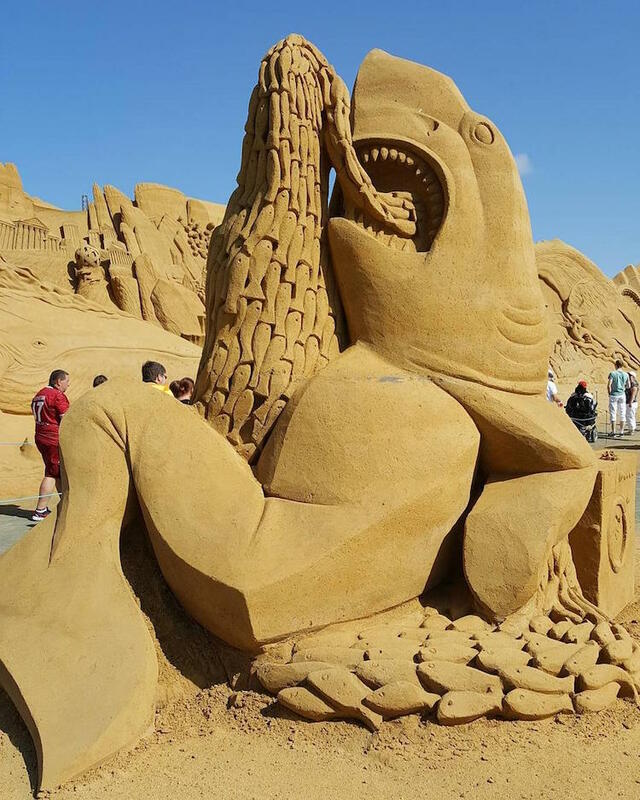 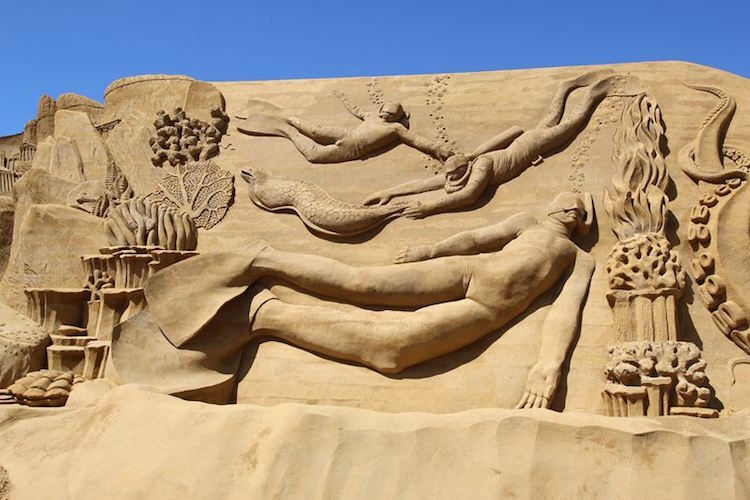 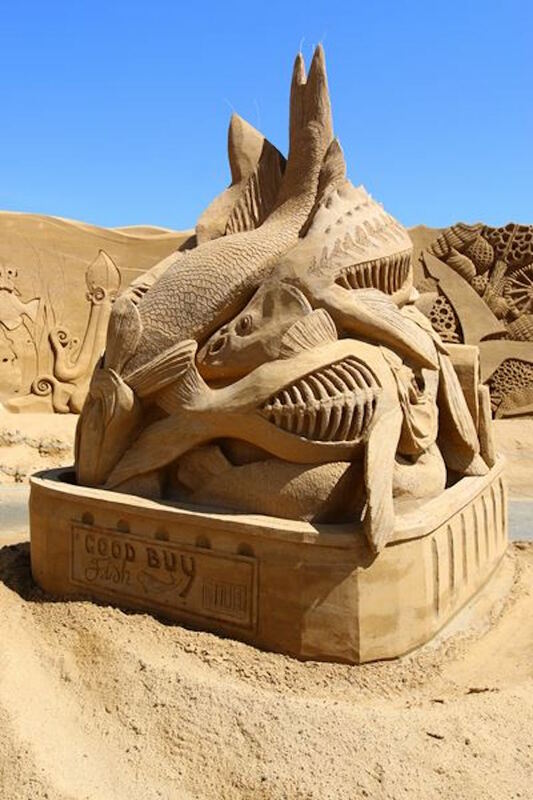 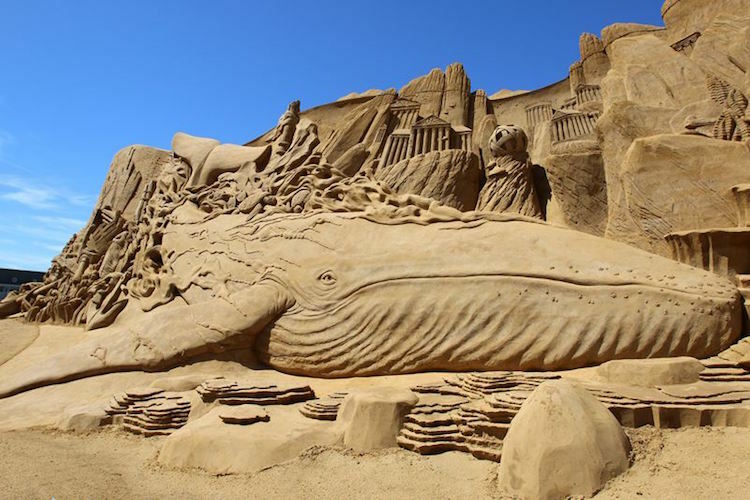 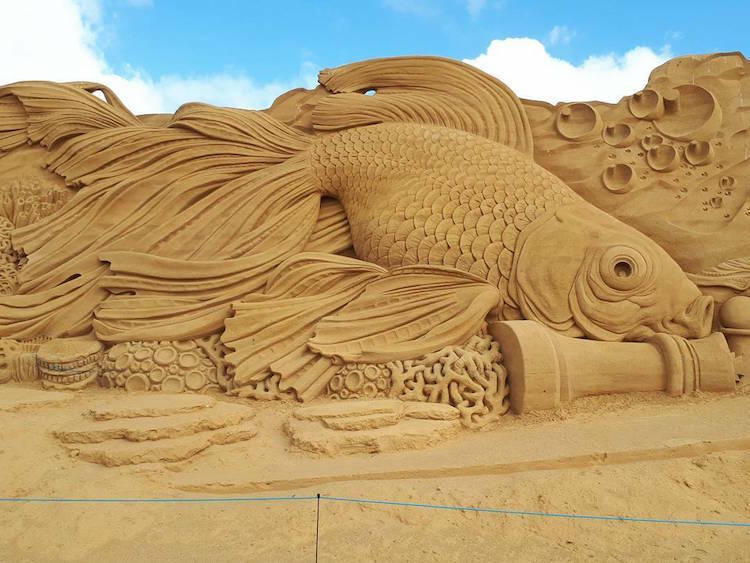 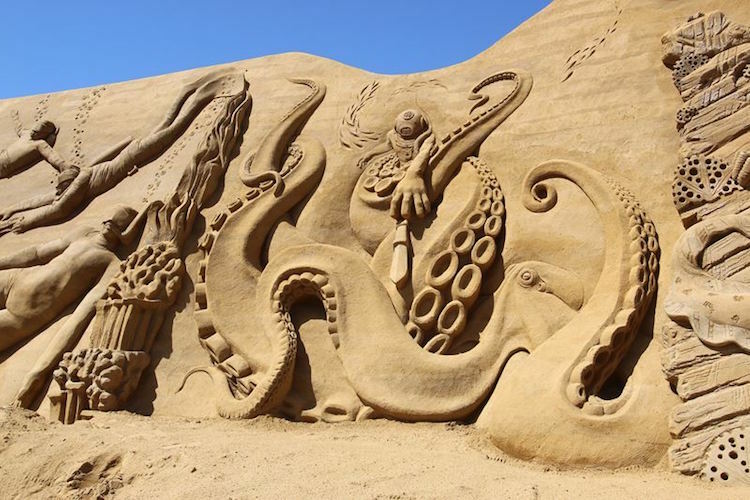 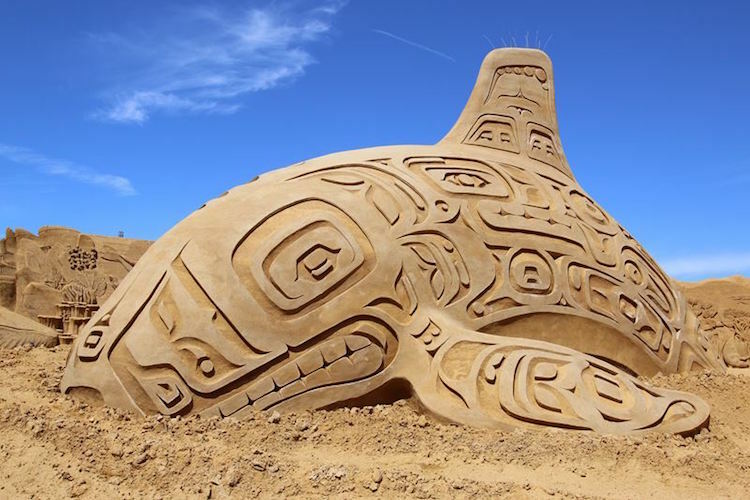 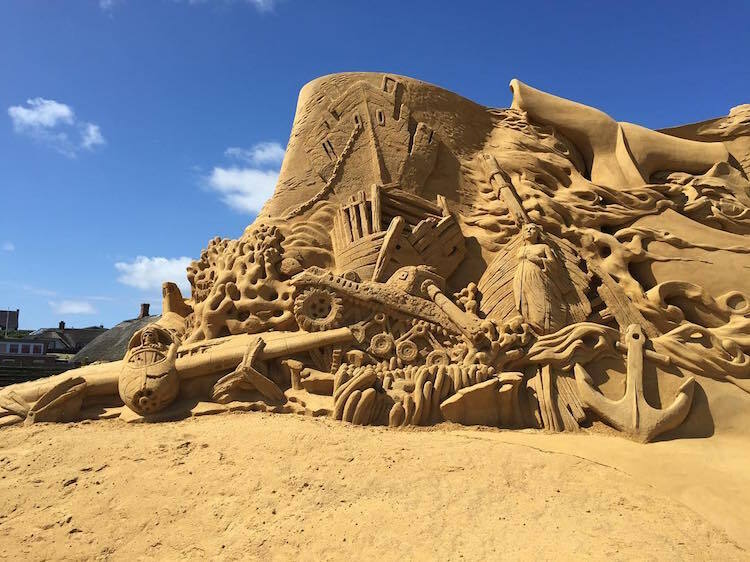 Mesmerized by these sea-themed sand sculptures?